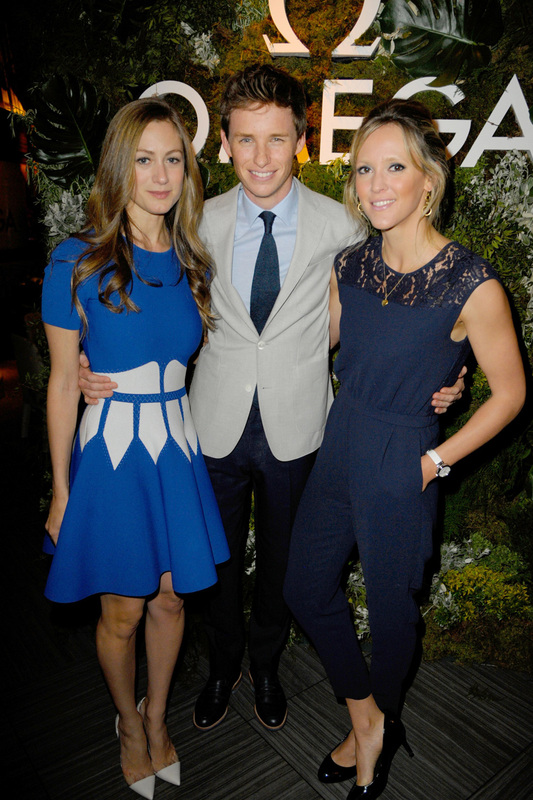 The couple show their bond - and flawless style - at dinner to mark Eddie being named the new face of the brand. Eddie Redmayne and wife Hannah proved that they’re still very much in the honeymoon phase of their relationship in London last night. The newlyweds stepped out in the city to attend a VIP dinner for luxury watch brand Omega at Quaglino’s in the heart of Mayfair. As the new face of the prestigious Swiss-made retailer, Eddie made sure to look his best for the occasion. A regular at men’s fashion shows, he displayed his sartorial knowledge by teaming a light fitted jacket with a pair of well-cut navy trousers. Eddie accessorised his classically dapper look with a dark textured tie, smart loafers and a statement timepiece. Although it was her husband’s night, Hannah couldn’t resist slipping on a sensational dress that flattered her slender figure. Bold blue with a white pattern around the middle and an above-the-knee hemline, the design highlighted the PR’s trim waist and toned legs. Hannah – who wore her long hair in loose tumbling curls – added a couple of inches to her height with some extremely elegant pointed courts. The duo were joined at the event by a host of glamorous individuals including 12 Years A Slave star Chiwetel Ejiofor. ‘I have worn Omega for a number of years, so to be made an official ambassador for the brand on a global level is very exciting,’ Eddie told guests at the event. And Omega’s president, Stephen Urquant, is equally thrilled to have the chance to work with the 33-year-old actor who bagged an Oscar earlier this year for his role in The Theory Of Everything. ‘We are absolutely delighted to welcome Eddie to the Omega family,’ he stated.